Perhaps the one word in photography that strikes fear into the heart of a beginner photographer, aperture may be the one thing that scares people from moving from auto to manual modes. If a lens is to the camera as the eye is to the human body then aperture is the pupil. Pupils dilate (open) and constrict (close) according to the light. Aperture setting are referred to a f-stops. 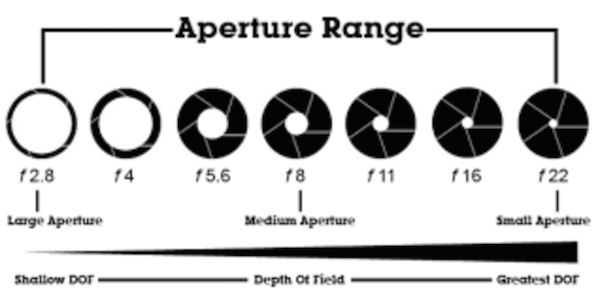 Aperture is measured in set intervals. Each f-stop lets in half as much light as the next biggest setting.